Soldiers assigned to Company J, 123rd Brigade Support Battalion, 3rd Armored Brigade Combat Team, 1st Armored Division, participate in convoy training to prepare for a rotation at the National Training Center at Camp McGregor, New Mexico, March 15, 2018. 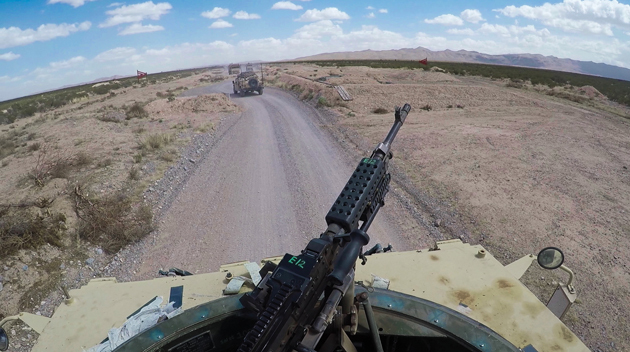 Convoy training stresses the importance of communication and develops effective strategies for future combat missions. FORT BLISS, Texas — Soldiers assigned to 123rd Brigade Support Battalion, 3rd Armored Brigade Combat Team, 1st Armored Division, participated in a live-fire exercise at Camp McGregor, New Mexico, March 15. 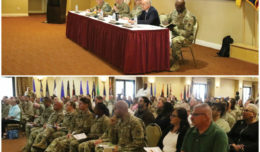 The training exercise, part of the Bulldog Focus exercise that lasted several weeks and focused on readiness and communication, prepared the Soldiers for an upcoming rotation at the National Training Center in Fort Irwin, California. 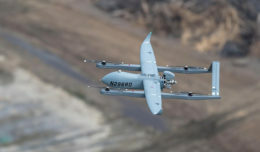 The training focused on convoy live-fires, which are designed to prepare them for combat missions and to accomplish objectives as part of a cohesive unit. The 123rd BSB’s training ensures that the battalion can efficiently cooperate in their assigned tasks and effectively complete their mission. The importance of communication within the 123rd BSB became clear throughout the training exercise. 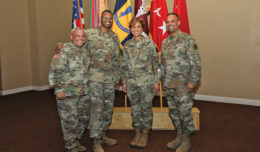 The diversified nature of the 123rd BSB, which possesses numerous and varied military occupational specialties that uniquely contribute to missions, ensures that training is multifaceted and thorough. The 123rd BSB’s exercises also developed communication and leadership qualities in junior officers. The training exercise provided an important opportunity for the 123rd BSB to practice real-life scenarios in preparation for the chaotic and unpredictable realities of combat.